Boy am I enjoying bag week. Incase’s Alloy series Compact Backpack was quite the treat, but I have wandering eyes which have now led me to the Chrome Krakow Laptop Bag. The thing about the Krakow is that it can withstand just about anything, which seems to be the trend at Chrome. The company is all about letting you go wild and crazy while keeping your gadgetry safe and snug in your bag. That said, the Krakow falls in line well, and has a design to prove it. 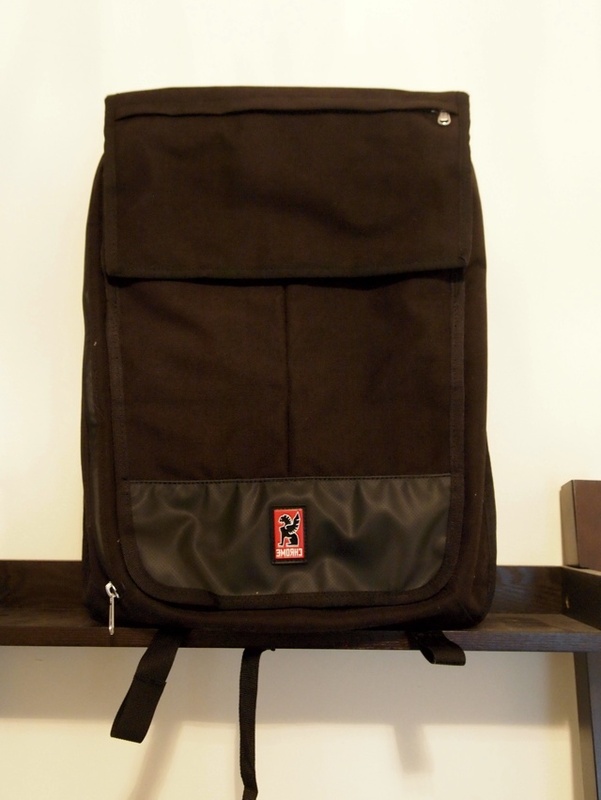 The bag sports industrial metal strap adjusters, along with two metal hooks on the straps themselves. Just from looking at it you can tell the bag is made for some heavy wear and tear, made obvious by the nylon construction with polyurethane coating. But what isn’t so obvious is the weatherproof military-grade truck tarpaulin liner on the inside. To put it plainly, you’d have trouble getting your laptop wet in this bag. The Krakow is actually a bit of a trickster. When you first catch a peek, it seems as though the entire front of the backpack is the opening flap. Really, it’s just the top third or so that latches closed with Velcro but that illusion gives it a sort of military feel, which I enjoyed. In fact, the Krakow is a pretty good-looking bag all around, with an unobtrusive design and a nice touch of metal to prove its ruggedness. But it’s not for everyone. The Krakow offers plenty of space, but the majority of pockets more closely resemble sleeves. As I mentioned, you could fit a 17-inch MacBook in the main compartment’s laptop sleeve, and you could probably toss in quite a few other flat things, but nothing that taps too much into the third dimension is going to work. A camera, for example, was tough for me to fit in there along with my laptop, a tablet, a journal, and some other papers. The Krakow is for someone who carries a lot of paperwork, files, tablets, (semi-thin) books, magazines, and a laptop. If you plan on packing your lunch and your sports gear and anything else bulky, look elsewhere. The Krakow is also for the modern day adventurist — as long as you’re not dropping it off a cliff, this thing should keep your valuables safe and dry. I’d venture to say that the number one deal breaker with me and bags is accessibility. Can I take stuff out and put stuff in the bag easily, while I’m walking, without having to take off the bag. In this category, the Krakow wins. You can get into the front zippered pouch with one strap over your shoulder, but that’s child’s play. You can also get into the main compartment with the bag looped over one shoulder because the zipper runs along the top and down one side of the bag. I do, in fact, want the Krakow. It looks pretty damn slick (especially in all black) and suits my needs pretty well. I wouldn’t use this for work, since I always have to have a camera/lenses/random gadgets with me, but I’d certainly use it as my primary around-the-town bag in a heartbeat. It’s comfortable, durable, and easy to get into on-the-go. The only drawback is its price tag.